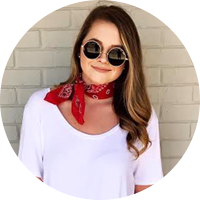 The absolute perfect top for any date night!! White lace is trending right now, and this top nails it with the bell sleeves and peplum hem. This top can easily be worn into spring and is only $35. I'm wearing my normal size, but the arms do run slightly small! I'm also wearing high waisted jeans..I'm 5'7 for reference. I have seen others wear it with regular jeans that are shorter! Do yall love voting for these posts on Insta stories?? Please let me know in the comments or DM me! 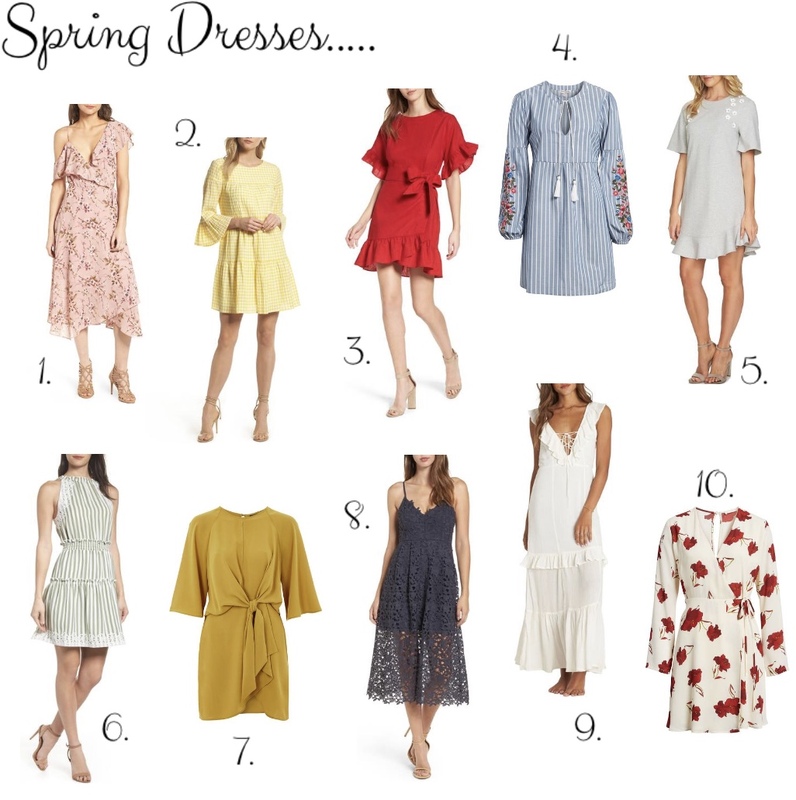 I always want to make sure I'm posting what YOU want to see - and yall wanted Spring dresses! Clearly ruffles and wrap dresses are the trend this Spring and I'm not complaining about it. 1. | 2. | 3. | 4. | 5. | 6. | 7. | 8. | 9. Top | 9. Bottom | 10. | 11. | 12. | 13. | 14. | 15. I put this thing together right before bed and realized I missed a pair of earrings! You probably didn't notice, but right above the phone case they are slightly there! Anyways, I'm linking the earrings here! They were seriously the first item I wanted to put on here haha. 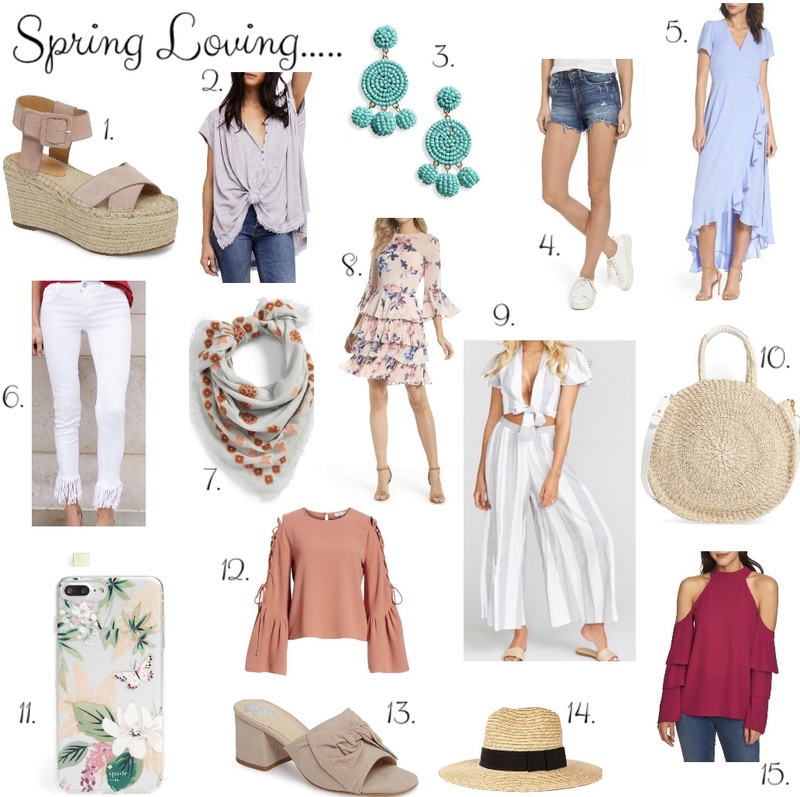 Happy Monday - I hope this post gives you all the Spring feels!! I'm starting at a new office today and I'm so excited!! Can't wait to start working closer to home!